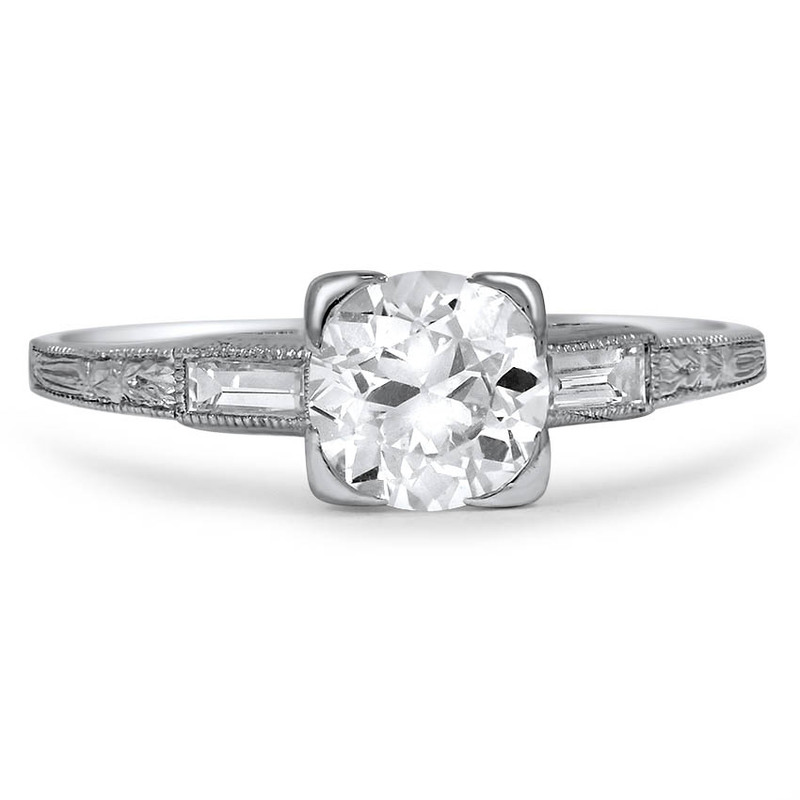 This platinum Art Deco engagement ring features an old European cut diamond with a baguette cut diamond accent on either side. Delicate hand engravings reach down the shoulders, adding to the irresistible quality of this 1930’s piece (approx. 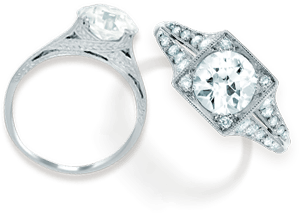 1.05 total carat weight).